Recently on WKAR’s Current State, I reviewed the new collection of short stories by Monica McFawn. Bright Shard of Someplace Else was also selected this year as one of the Michigan Notable Books. You can find the novel on Amazon.com here. 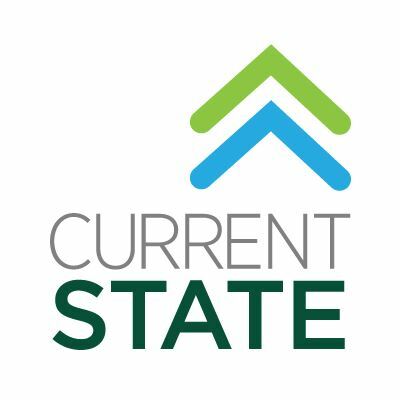 If you want to check out my other book reviews for WKAR’s Current State, you can do so via links on this page. We writers tend to take short stories for granted. They are practice. They are something students do in a class. They are throwaway ideas for a collection or a blogsite. Most recently, publishers have been asking authors to create short stories as a means for introducing a novel to an audience—sort of an awkward attempt at a prequel. 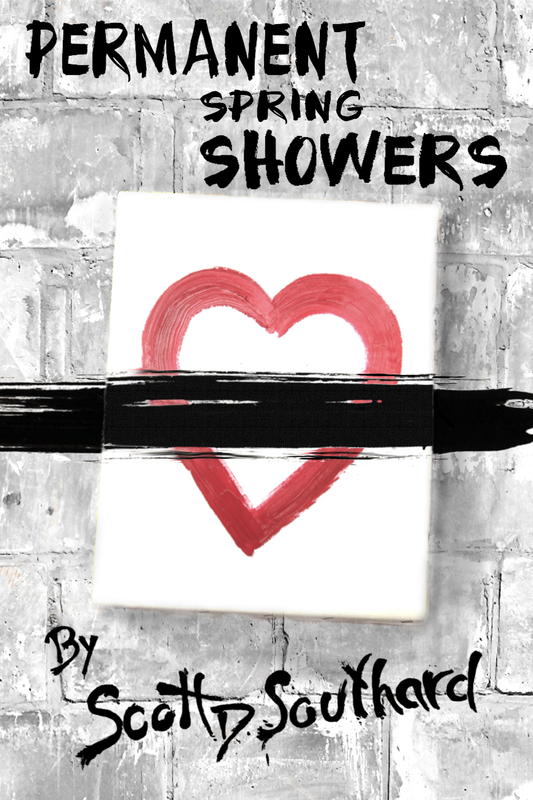 Check out this free short story, now come back and buy the book! Honestly, it’s all a little unfair. Good short story writing is an art form unto itself with a rich tradition all its own. Here in Michigan, we have a contemporary virtuoso of it in our midst. 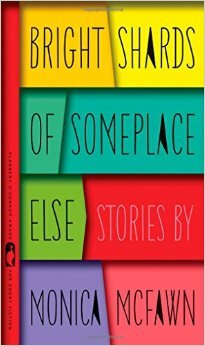 Bright Shards of Someplace Else by Monica McFawn is a collection of 11 masterful short stories. It is one of this year’s Michigan Notable Books and has also been awarded the Flannery O’Connor Award for Short Fiction. And while you can’t always judge a book by the award stickers on its cover, these fascinating stories definitely live up to the hype. My favorite one is entitled “The Chautauqua Sessions.” It follows a struggling and aging pop songwriter. Danny is planning a comeback, but things become a mess when his drug-addicted son shows up at the studio, claiming, once again, to have broken his habit. While others believe in his son and his recovery, Danny is convinced he is lying, and he will do anything to prove that is the case. This obsession will end up taking Danny down some very questionable roads. It is a wonderful character piece. Another example of McFawn’s talent for packing a punch into just a few pages is “Out of the Mouths of Babes.” This story opens the collection. In it, a young woman named Grace has been hired to babysit Andy, a nine-year old with an amazing talent for negotiation. Grace is warned not to let Andy get on the phone, but once she realizes Andy can solve all of her problems, from overdue bills to relationships, she can’t help herself. She is going to make this 9-year old fix her life. It is a very witty tale, and I was uncertain exactly how it was going to end, right up until the last page. One of things I love about McFawn’s collection is how much it feels like she is doing something new and a little experimental. These are not your typical stories with a clear beginning, middle, and end. They are moments captured, providing just a snippet of someone’s life. Sometimes, the stories build up to an event that we don’t even get to witness. This can leave a reader almost starving to know what happens next. I can’t help but imagine McFawn giddy at that kind of reaction from readers, enjoying the tease of it. Bright Shards of Someplace Else by Monica McFawn is a fantastic book, filled with memorable characters and extraordinary, yet believable, situations. My only complaint with this collection of short stories, is that it wasn’t longer. This entry was posted in Book Reviews and tagged Book Review, Bright Shards of Someplace Else, Current State, Fiction, Flannery O'Connor, Great Reads, Library of Michigan, Michigan Notable Books, Monica McFawn, NPR, reading, short story collection, WKAR by Scott D. Southard. Bookmark the permalink.